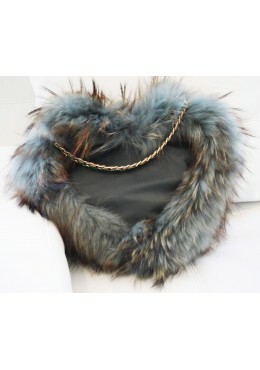 Handbag HEART• Dyed brown Finnish raccoon fur • Printed leather• Full leather inside• Magnetic sna..
Dyed blue mink round handbag Print leather Dyed blue mink fur Zipper closure Full lined leat..
Fox fur dyes green handbag Recycled lux fur Leather braids Fur of two sides Magnetic clasp Leath..
Fox fur dyes lynx handbag Recycled lux fur Leather braids Fur of two sides Magnetic clasp Leathe..
Handbag HEART• Dyed green Finnish raccoon new fur • Printed leather• Full leather inside• Magnetic..
Indigo fox fur handbag Recycled lux fur Leather braids Fur of two sides Magnetic claspInside lin..
Indigo fox fur handbag Recycled indigo fox fur Removable chain of 54''Two sides fur Magnetic clas..
Red fox fur handbag Recycled red fox fur Removable chain of 54''Two sides fur Magnetic clasp Leat..
Made in CanadaLuxury recycled fur HAND BAGFur: MinkTrim: LeatherLining: 100 % PolyesterSize : 1..
Made in CanadaLuxury new fur BACKPACKFur: Shadow dyed foxTrim: LeatherLining: LeatherSize : 10 .. 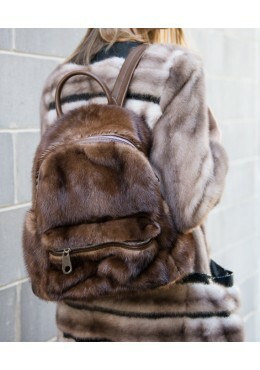 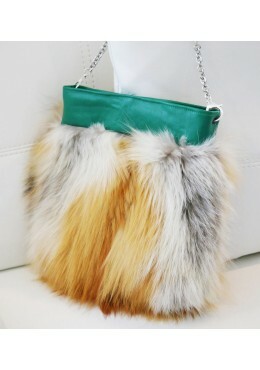 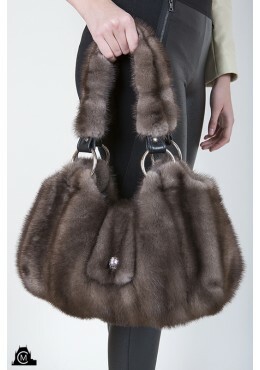 Luxury new fur BACKPACKFur: MinkTrim: LeatherLining: 100 % cotton Size : 12'' x 16''Two adjust.. 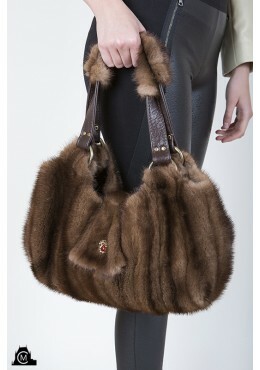 Luxury new fur BACKPACKFur: MinkTrim: LeatherLining: 100 % cotton Size : 10'' x 13'' x 5''Two ..
Made in CanadaLuxury recycled fur HAND BAGFur: MinkTrim: Italian leatherLining: Leather Size 14..
Made in CanadaLuxury recycled fur HAND BAGFur: LynxTrim: LeatherLining: 100 % PolyesterSize : 1..